There has been a recent surge in cockroach infestations in the warmer parts of New Zealand. Over the last couple of months, a time when sales normally slacken off as colder weather slows cockroaches down, sales of pest control products specifically designed to control cockroaches have increased to record levels. Cockroaches are large resilient beetles often referred to as the creatures that will ‘inherit the Earth’ in the event of a nuclear catastrophe. This may or may not be true, but they can be difficult to eradicate from buildings once they become established. It is likely that the warm summer followed by an extended mild and damp autumn has seen numbers swell, particularly in the North Island and top of the South. Now the recent high rainfall is driving cockroaches to seek shelter and warmth in our increasingly well heated homes. There are several species of cockroach that pester us in our homes and workplaces; the German, Gisborne and American are the most common (see Landcare website for identification). Cockroaches are implicated in transmission of disease. They will often move from drains, bins and decaying matter onto food and food preparation surfaces, transferring bacteria and viruses as they go. The particular difficulty in eradicating cockroach infestations is that cockroaches lay eggs and egg cases in cracks, crevices and areas that are hard to reach with insecticides. The eggs can hatch out weeks and months after treatment, when it appears that the cockroaches have been eliminated. While adult cockroaches are large, their nymph stages and eggs can be much smaller and they can hide in very narrow gaps. It is vital that treatment with long lasting surface insecticides are maintained for several months after the last cockroach is seen, so that nymphs that hatch from the eggs are controlled before they get a chance to reach maturity and continue the life cycle. I also recommended that monitoring for cockroaches is carried out at all times. If your property has had an infestation in the past then it is likely to be susceptible to infestation again. Non-toxic cockroach traps are an excellent way to check for infestations. They can be safely used in sensitive areas like kitchens and pantries. Cockroach traps are simple non-toxic fold out sticky boards supplied with tablets that attract the cockroach adults and nymphs to the trap. The traps can be checked regularly and if cockroaches are found an elimination treatment can be carried out before they have time to become established. Also, think about how the cockroaches may have found their way inside. In many warmer and humid parts of New Zealand the cockroaches can survive outside, so consider placing a chemical barrier around the house and other buildings. This can be a barrier of insecticide such as those mentioned previously or slow release Lawngard Prills sprinkled in ring around the building. For those who prefer not to use insecticide there are organic options such as NO Insects Barrier containing capsaicin, the hot stuff found in chillies, which can be painted on surfaces where cockroaches might otherwise gain entry. A man heard that caffiene can be used as an insecticide. So he poured coffee around his cockroach infested kitchen. It didn't kill the cockroaches and he was kept awake all night by them chatting. I have just watched one of those great BBC natural history TV programs; Superswarms. This program, shown on TV1, showed how the combined 'intelligence' of large numbers of more simple individuals can overcome problems far beyond the ability of individuals. The ants, as usual, impressed me with their co-ordination of millions of individuals by pheromone (chemical) communication to act as a whole; in some sense in a way likened to the workings of a human brain. The Fire Ants shown managed to survive flooding by creating a raft of their own bodies working together and as the raft approached safe dry land they formed a pontoon bridge in a finger of rafting ants reaching out for safety. You may think that such exotic species are not to be found in New Zealand. It is true that Fire Ants are not in New Zealand. They are invading many parts of the world spread by travelling on transport and materials that we import and export. They have spread from the rainforest to invade the USA and Australia amongst other places. Fire Ants have been found in New Zealand in the past. Luckily MAF Biosecurity have so far been able to expend large resources to succeed in eradicating the incursions before they have become established. However, other invasive species have been able to become established here and eradication is not now not an option; Argentine and Darwin Ants are the most common and most invasive of these now established pests. The Superswarms of Fire Ants were shown in the program causing havoc in electrical equipment where they 'attack' circuits such as those found in computers, switchboards, and other equipment containing circuit boards. Their antennae are sensitive to electrical currents and the ants cause shorts between exposed connections as they attack them. Argentine Ants and others are also well known to behave in the same way and as they spread across New Zealand are more and more likely to disrupt our sensitive equipment. I was contacted just today by a lady in Auckland who had been experiencing trouble with ants causing problems in the electronics of the gate opening system at the entrance to her home. 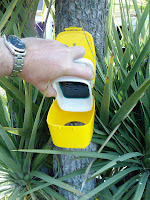 I was able to advise her how to use a combination of baiting to reduce the colony, spraying to prevent ants entering the area of the electronics box (but not spraying the electronics) and use of slow release granules to eradicate the nests and prevent ants setting up home close to the affected gate. New Zealand is not isolated from the advance of pest species across the globe. New Zealand is more sensitive to the invasion of many of these pests because of the unique ecosystems that have developed in isolation here over the past millennia. Argentine Ants may stop your gate opening system working properly but they are also a threat to our native insects and other invertebrates, our native birds and the diversity of natural New Zealand. To control these invasive superswarms we must not underestimate their combined intelligence. To eradicate ants, think like an ant colony not an ant. What is smaller than an ant's mouth? 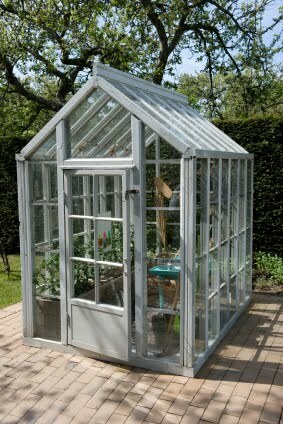 Greenhouse bases made of concrete have several advantages. The main ones being the concrete pad retains heat and acts as a 'storage heater' keeping the greenhouse temperature up over night and the concrete can be kept clean reducing the risk of harbouring diseases. The concrete pads can be sealed and made waterproof with the use of silicone sealer such as NO Leaks Masonry Sealant. The sealant is water based and is easily applied to concrete by spraying or painting. The sealant allows the concrete to breathe while preventing moisture penetration and the growth of fungal or bacterial diseases that could multiply in the otherwise moist concrete. It also makes keeping the surface of the pad clean much easier and prevents the surface deteriorating and becoming dusty. The same product can be used to seal all concrete pads and walls such as patios, garage floors, basements, walls, milking sheds etc. The sealant will prevent staining and reduce moisture penetration causing frost damage. Kiwicare also produce a sealant product specifically for coloured (red etc.) brick and terracotta. The NO Leaks Red Brick and Terracotta Sealer (Kiwicare uses descriptive and literal names!) is made up with a dedicated solvent or with white spirits and does not cause salt sublimation on treated surfaces. Did you hear about the invention of waterproof teabags? It was an idea that was floated. NO Possums Gel Bait containing cholecalciferol (vitamin D3) is an easy to use alternative to traps, 1080, cyanide or brodifacoum. The gel bait is a 'truely' long life bait. Some baits and baiting systems claim to be long life but palatability to possums drops off over a few months. 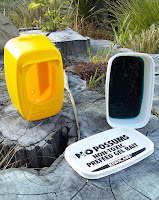 NO Possums remains palatable and effective for over 2 years even in high rainfall areas such as New Zealand's wet west coast. The toxin in the bait, cholecalciferol, is of low ecotoxicity, does not persist in the environment, is highly toxic to possums and rodents but of much lower toxicity to birds, does not require a licence for use and poses a low risk of secondary poisoning. The gel bait is highly attractive to possums, it will also be eaten by rats. 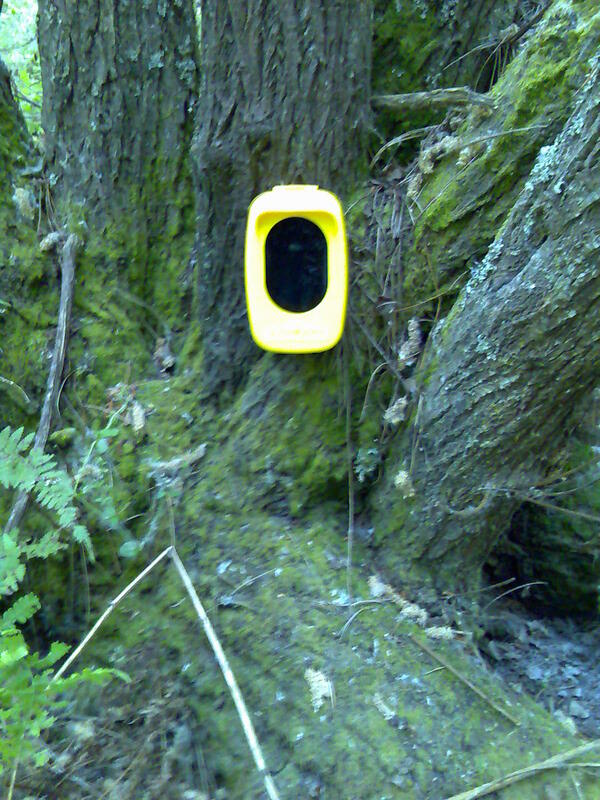 The bait is supplied in containers that fit a dedicated bait station that acts as protection from weather and a visual lure to curious possums. 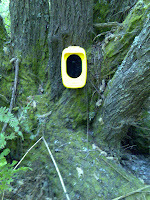 The station should be fixed to a suitable tree or post where possums can stand comfortably and feed at the gel bait by putting its snout into the bait station. In areas where stock, dogs or other at risk animals might access the bait station it should be placed out of reach of these animals. A good tip is to place the station above 2 metres from the ground and about 30cm above a tree branch or other platform. If no such position is available a broken off branch or piece of 2x1 can be fixed below the station. It is recommended that NO Possums non-toxic pre-feed is used in the station for at least two weeks prior to placing the toxic bait in the station. 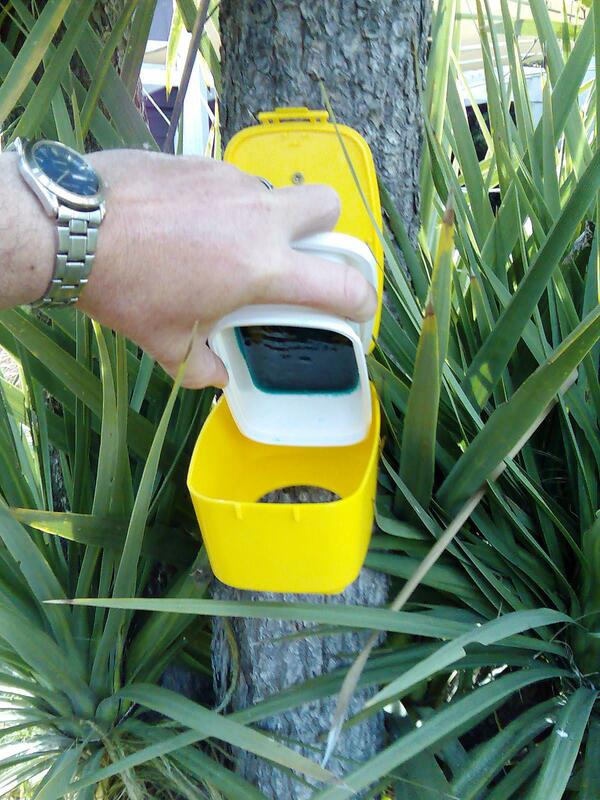 this ensures that possums are feeding fully at the bait and take a lethal dose rapidly after the toxic bait is placed. NO Possums products can be purchased from good rural supplies stores throughout New Zealand. To prove to the possum it could be done. Sales of Kiwicare Cockroach products such as NO Cockroach Fumigators, Sprays, Baits and Traps have been rising unseasonably. It would be expected that problems with cockroaches would drop during winter as the cold slows cockroach breeding. But this year is significantly bucking this trend. Our retailers are increasing orders to keep up with demand and the Kiwicare website is experiencing its busiest month ever with visitors seeking advice on getting rid of cockroaches and keeping them away. Busier even than the height of summer. It is not clear why numbers should be climbing at this time of year but it is likely to be a combination of the relatively mild autumn, the high humidity caused by recent rains and the increase of heating in homes where cockroaches can survive and breed through the winter. For information on how to get rid of cockroaches and keep them at bay check out this Cockroach advice page. There was success at the National Fieldays for Kiwicare. The Kiwicare display won a Valued Exhibitor Award for the display and the friendly, professional and informative advice freely given to visitors to the exhibit. Thank you to all of you that came along to visit us. We enjoyed providing help and advice if you had a particular pest or garden care problem to solve and we enjoyed having a chat with those that just came along for a chat. The most common problems that visitors asked for advice on were rats and mice followed by possums, ants and cockroaches. It is interesting that at almost mid winter two insect pests should still be a problem to many. This is a symptom of what has been a mild autumn and start to the winter. If you are having a problem with these or any other pest in your home workplace or garden check out the Kiwicare website or contact us directly for help on 03 389 0778. I have arrived in Hamilton for Fieldays and I am looking forward to setting up tomorrow and hopefully seeing you over the next week. Don't forget to come along and chat to me about any pest control or garden care problems I can help you solve. 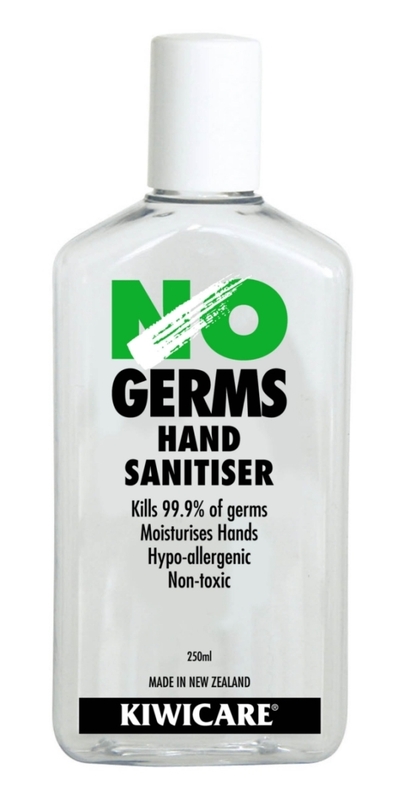 You will receive a free NO Germs Hand Sanitiser worth $8 for any purchases over $10. We want you to stay healthy and free of flu's and cold this winter. You will find Kiwicare at PE38 in the main Mystery Creek Pavilion. Why should you never tell a cow a secret? Because it goes in one ear and out the udder. Last night's (Wed 9th) TV3 News had an article on a rat plague taking over Nelson. It was reported that rats are running a muck in the market gardens in the region. 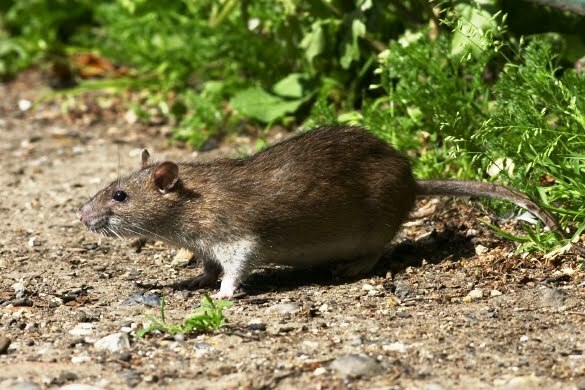 One pest controller claimed to have removed 15,000 rats from one property! While I suspect this may be an over estimate as he had based it on the amount of bait used and not carcasses found*. It does support my assertion in a previous blog that rodents have had a prosperous summer and numbers are high. The report showed how rats can afflict fruit and vegetables such as pumpkins. One market gardener showed how rats will feed on the seeds in a pumpkin and use the fruit/vegetable as a home. If rats are in significant numbers the damage and contamination they cause can have a serious impact on the productivity and profitability of such businesses. Nelson is a relatively warm part of New Zealand and rats will survive happily by living in the field and finding shelter in pumpkins or elsewhere. But here and particularly in cooler parts of the country they seek shelter in homes, offices, factories and other buildings. For advice on how to prevent rats (and mice) entering your home check out the advice here. *Rats and mice eat usually eat much more bait than a lethal dose because anti-coagulant toxins do not make them sick for several days. They will continue to eat the bait until they fall ill. This is an important feature of anti-coagulant baits such as NO Rats and Mice. It means that rodents do not become 'bait' shy' after eating a sub lethal dose and also there is plenty of time to administer an anti dote in the case of accidental poisoning. A rat goes into a bar. The barman notices it is missing it's front teeth and says "Hard cheese!?" The National Agricultural Fieldays will be held at Mystery Creek, Hamilton next week (16th-19th June). The Kiwicare team will be displaying our products and answering your pest control, horticultural care and other questions at stand PE38 in the main Mystery Creek Pavilion. We have several great show offers. If you make a purchase of $10 or more you will receive a free 250ml NO Germs Hand Sanitiser to help you keep the bugs at bay this winter. There is also a draw to win a fantastic gift box full of New Zealand Made goodies including wine, beer, chocolates, bath cream, seeds, sauce, and of course a range of Kiwicare organic products for your garden. There will also be a focus on the Kiwicare rural range of products including NO Possums Gel bait, rodenticides, waterproofing products, insect fumigators, and insecticides. I hope you will come along and chat to us. See you there. What do you call a cow that can't give milk?